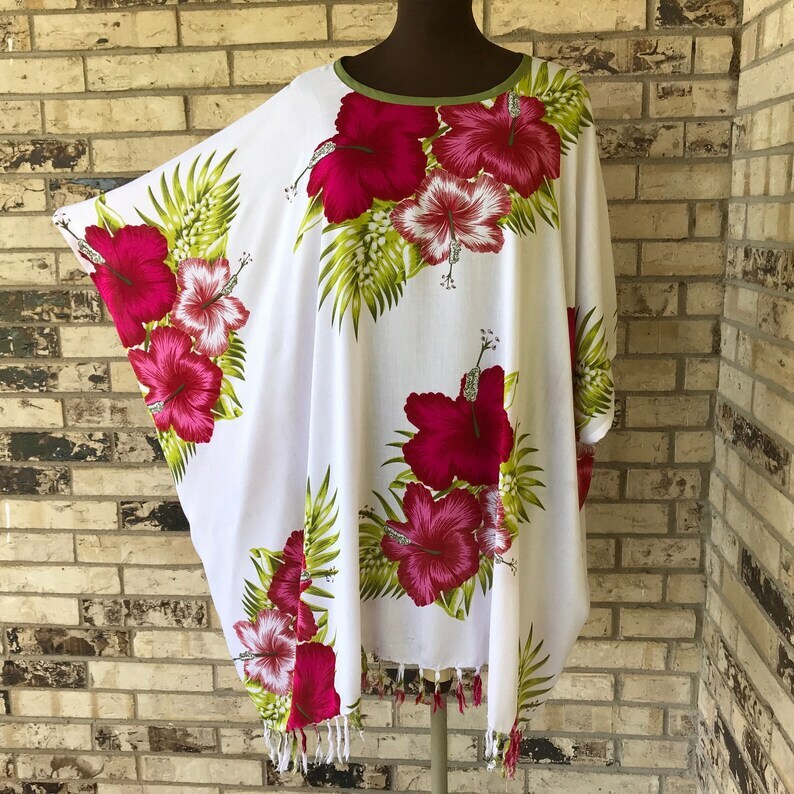 This is a soft lightweight tunic decorated with colorful tropical flowers. The neck is bound to prevent any sort of stretching and all seams are completely finished to insure that the inside of your garment is as lovely as the outside. It is sized to fit almost everyone up to 5X. We would suggest washing your garment by hand or on gentle machine cycle and drying on a hanger. All payments are to be made with direct checkout or PayPal. We will ship your item within 24 hours of receiving payment (usually on the same day) and then provide you with a confirmation number so that you may track your package. All shipments will be priority mail/U S Post Office. Prices listed are for U.S. shipping only - please contact me about International rates.